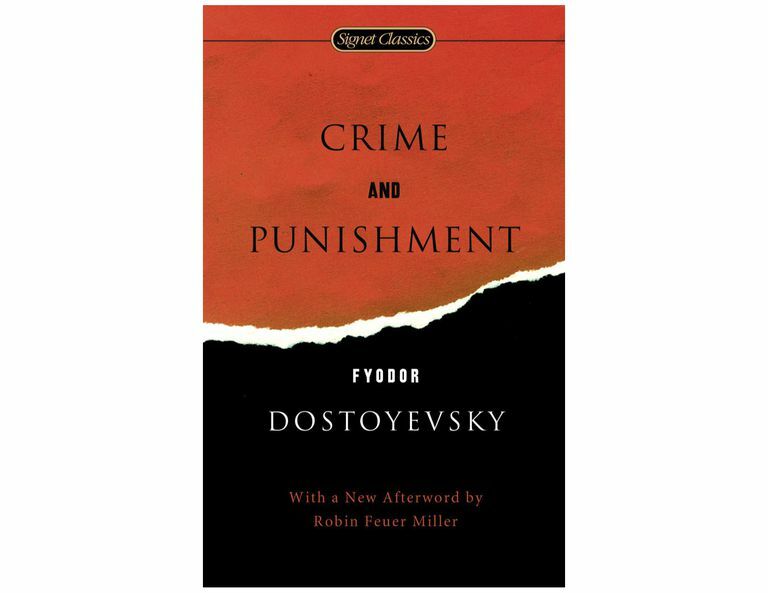 Crime and Punishment is a novel by one of the greatest Russian authors, Fyodor Dostoevsky. The novel was published in installments during 1866. Rodion Romanovich Raskolnikov, a poor ex-student in St. Petersburg, who is the main protagonist. Here are a few quotes from the novel. "Why am I going there now? Am I capable of that? Is that serious? It is not serious at all. It's simply a fantasy to amuse myself; a plaything! Yes, maybe it is a plaything." "Why am I to be pitied, you say? Yes! There's nothing to pity me for! I ought to be crucified, crucified on a cross, not pitied! Crucify me, oh judge, crucify me but pity me?" "What if man is not really a scoundrel, man in general, I mean, the whole race of mankind - then all the rest is prejudice, simply artificial terrors and there are no barriers and it's all as it should be." "He ran beside the mare, ran in front of her, saw her being whipped across the eyes, right in the eyes! He was crying, he felt choking, his tears were streaming. One of the men gave him a cut with the whip across the face, he did not feel it. Wringing his hands and screaming, he rushed up to the grey-headed old man with the grey beard, who was shaking his head in disapproval. One woman seized him by the hand and would have taken him away, but he tore himself from her and ran back to the mare. She was almost at the last gasp, but began kicking once more." "Good God! ... can it be, can it be, that I shall really take an axe, that I shall strike her on the head, split her skull open...that I shall tread in the sticky warm blood, blood...with the axe...Good God, can it be?" "He suddenly heard steps in the room where the old woman lay. He stopped short and was still as death. But all was quiet, so it must have been his fancy. All at once he heard distinctly a faint cry, as though some one had uttered a low broken moan. Then again dead silence for a minute or two. He sat squatting on his heels by the box and waited, holding his breath. Suddenly he jumped up, seized the axe and ran out of the bedroom." "Where is it I've read that someone condemned to death says or thinks, an hour before his death, that if he had to live on some high rock, on such a narrow ledge that he'd only room to stand, and the ocean, everlasting darkness, everlasting solitude, everlasting tempest around him, if he had to remain standing on a square yard of space all his life, a thousand years, eternity, it were better to live so than to die at once! Only to live, to live and live! Life, whatever it may be!...How true it is! Good God, how true! Man is a vile creature!...And vile is he who calls him vile for that"
"Life is real! Haven't I lived just now? My life has not yet died with that old woman! The Kingdom of Heaven to her-and now enough, madam, leave me in peace! Now for the reign of reason and light...and of will, and of strength...and now we will see! We will try our strength." "I like them to talk nonsense. That's man's one privilege over all creation. Through error you come to the truth! I am a man because I err! You never reach any truth without making fourteen mistakes and very likely a hundred and fourteen." "But what can I tell you? I have known Rodion for a year and a half; he is moody, melancholy, proud, and haughty; recently (and perhaps for much longer than I know) he has been morbidly depressed and over-anxious about his health. He is kind and generous. He doesn't like to display his feelings, and would rather seem heartless than talk about them. Sometimes, however, he is not hypochondriacal at all, but simply inhumanly cold and unfeeling. Really, it is as if he had two separate personalities, each dominating him alternately." "Actions are sometimes performed in a masterly and most cunning way, while the direction of the actions is deranged and dependent on various morbid impressions - it's like a dream." "It began with the socialist doctrine. You know their doctrine; crime is a protest against the abnormality of the social organisation and nothing more, and nothing more; no other causes admitted!" "If he has a conscience he will suffer for his mistake. That will be punishment - as well as the prison." "It was dark in the corridor, they were standing near the lamp. For a minute they were looking at one another in silence. Razumikhin remembered that minute all his life. Raskolnikov’s burning and intent eyes grew more penetrating every moment, piercing into his soul, into his consciousness. Suddenly Razumihin started. Something strange, as it were passed between them... Some idea, some hint as it were, slipped, something awful, hideous, and suddenly understood on both sides... Razumihin turned pale." "Power is given only to him who dates to stoop and take it... one must have the courage to dare." "I wanted to murder, for my own satisfaction ... At that moment I did not care a damn whether I would spend the rest of my life like a spider catching them all in my web and sucking the living juices out of them." "Go at once, this very minute, stand at the cross-roads, bow down, first kiss the earth which you have defiled, and then bow down to all the world and say to all men aloud, 'I am a murderer!' Then God will send you life again. Will you go, will you go?" "Crime? What crime? ... That I killed a vile noxious insect, an old pawnbroker woman, of use to no one! ... Killing her was atonement for forty sins. She was sucking the life out of poor people. Was that a crime?" "If I had succeeded I should have been crowned with glory, but now I'm trapped." "It was I killed the old pawnbroker woman and her sister Lizaveta with an axe and robbed them." "You're a gentleman... You shouldn't hack about with an axe; that's not a gentleman's work." "Some new sorts of microbes were attacking the bodies of men, but these microbes were endowed with intelligence and will ... Men attacked by them became at once mad and furious." "How it happened he did not know. But all at once something seemed to seize him and fling him at her feet. He wept and threw his arms round her knees. For the first instant she was terribly frightened and she turned pale. She jumped up and looked at him trembling. But at the same moment she understood, and a light of infinite happiness came into her eyes. She knew and had no doubt that he loved her beyond everything and that at last the moment had come." "They wanted to speak, but could not; tears stood in their eyes. They were both pale and thin; but those sick pale faces were bright with the dawn of a new future, of a full resurrection into a new life. They were renewed by love; the heart of each held infinite sources of life for the heart of the other." "Seven years, only seven years! At the beginning of their happiness at some moments they were both ready to look on those seven years as though they were seven days. He did not know that the new life would not be given him for nothing, that he would have to pay dearly for it, that it would cost him great striving, great suffering." 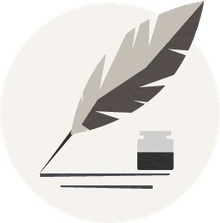 "But that is the beginning of a new story – the story of the gradual renewal of a man, the story of his gradual regeneration, of his passing from one world into another, of his initiation into a new unknown life. That might be the subject of a new story, but our present story is ended."